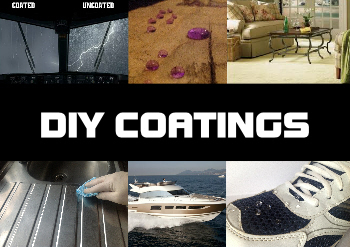 NanoMagic offers wide range of self-cleaning hydrophobic and photo-catalytic coatings for easy "Do It Yourself" (DIY) application. DIY nano coating range is designed for easy DIY application and curing in room temperatures. Coatings characterise long lasting performance. It can be successfully used in post manufacturing process or in home environment. - car exterior and many more.